I've been concerned about the loss of monarch habitat for some time. In 2005 we created the Monarch Waystation program in part to compensate for the loss of milkweeds and nectar sources and in 2010 we created the Bring Back the Monarchs program to address the larger issue of restoring milkweeds in areas from which they have been eliminated. Both of these programs require a great deal of outreach and more time and money than I or my staff can accommodate. We needed "boots on the ground" as they say - in this case, people who can help us deliver our message and see to it that milkweeds are planted. I came to learn that there were a number of people already doing this and I decided to invite them to join a group - a group of Monarch Conservation Specialists. I'm pleased to announce this volunteer group of monarch and milkweed advocates with this web page. As you will see, this is a group of accomplished people with substantial records of furthering monarch conservation. The expertise represented ranges from promoting monarch conservation with Federal and State agencies and nature centers to advocating the restoration of native plants, giving school programs and promoting and assisting with the creation of Monarch Waystations. We support the activities of these volunteers to educate the public about the need to create habitats for monarchs. We share resources among group members and solicit their advice on how we all can be more effective in promoting monarch conservation. We are pleased to have the assistance of these capable associates. Time permitting, the Monarch Conservation Specialists in your area can provide information to help you or your organization participate in monarch conservation. We would like to add more members to this group but are limited by funds at this time. After Gail began a sabbatical from her position as a Pastoral Associate, she realized the fragile future of the monarch migration and never went back. She now dedicates her time to protecting and expanding monarch habitats throughout Arizona. Gail soon realized the importance of forging relationships with local and state agencies. 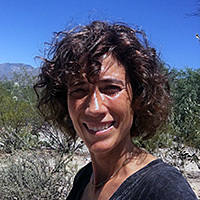 She worked with the Arizona Department of Transportation to add milkweed to roadside seed mixes and collaborated with the U.S. Forest Service to create Monarch Waystations. She also advocates for the addition of milkweed and monarch friendly nectar plants in riparian areas and city parks throughout the state. 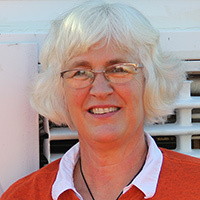 Gail is involved in several monarch butterfly conservation projects. She coordinates the Southwest Monarch Study, monitors and trains volunteers for the Monarch Larva Monitoring Project, and tests monarchs for Ophryocystis elektroscirrha (O.e.) for Monarch Health. Gail monitors monarch habitats at the Rio Salado Restoration Habitat, the Phoenix Zoo, Tempe Marsh and other milkweed habitats around Arizona. Gail also conducts special educational opportunities and events to benefit monarch conservation and habitats around the state. People of all ages enjoy her programs including nature and garden clubs, college, high school and grade school students, scout and many other interested organizations. To better understand the monarch migration, every Fall Gail takes volunteers on field trips to tag monarchs in some of the most beautiful cienegas in Arizona. A life-long gardener, Gail became a Master Gardener in 1995 and completed the Desert Gardening Mastership Program in 2011. To meet the growing demand for regional milkweed varieties across the state she turned to Maricopa, Pinal and Gila County Master Gardeners to propagate milkweed plants to create Monarch Waystations for city libraries, schools and public parks. 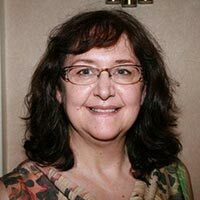 Joyce has a Bachelor's degree in nursing and is now employed part time as a nursing consultant for assisted living facilities in Brevard, NC. 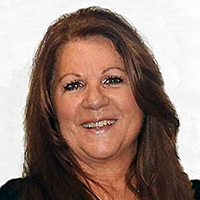 Early in her career she focused on coronary care, later she moved into hospice nursing during which she became certified as a hospice and palliative care nurse. Joyce is also certified in Virginia as an archaeological technician. 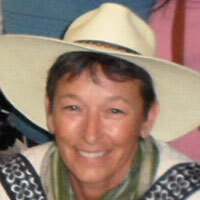 She has a strong interest in prehistoric archaeology and over 30 years of volunteer experience. The Archaeological Society of Virginia honored her as their Amateur Archaeologist of the Year in 1997. Joyce and her husband, Frank, moved to Brevard in 2003. There they met Ina Warren whose promotion of monarchs, gifts of seeds and seedlings inspired them to create their first Monarch Waystation (#1692) - now a site with more than 1,000 milkweed plants! This garden is the source of seeds and seedlings used to establish other Monarch Waystations. Joyce soon became a Master Gardener and, with Ina's help, a Monarch Mentor. As a result, Joyce encouraged others to develop their own Monarch Waystations and has been very involved with monarch education at the Cradle of Forestry in America in Pisgah National Forest. Joyce and her husband participate in the Monarch Larva Monitoring Project, managed by Karen Oberhauser of the University of Minnesota. They monitor two sites, Monarch Waystations #1692 and #3112, for this program. They've tagged and released numerous monarchs since 2009 and, based on recovered tags, at least three made it to Mexico! As an Monarch Watch Conservation Specialist, she looks forward to helping develop Monarch Waystations and promoting monarch butterfly education. Candy has a variety of interests, enjoying writing, nature photography, prairie restoration and chasing monarchs. She is especially interested in research and actively encourages people to get involved in monarch citizen science programs, teaching people how to tag monarchs, check for disease in monarchs and monitor monarchs in the field. She has a passion for community outreach and likes to work with all members of the public in an effort to educate people about pollinator and land conservation. She provides many outreach educational programs, visiting schools, nature centers, parks, businesses, places of worship and botanical gardens in order to spread the word about pollinator conservation and its impact on human health and well-being. Candy enjoys teaching people how to convert their own backyards into pollinator habitats and of course, Monarch Waystations! She specializes in helping people create Oak Openings genotype native garden habitats, and she is currently working on the Ohio Department of Transportation's Pollinator Habitat team to create pollinator habitat along Ohio roadsides. Candy is also an active member of Wild Ones, and serves as a contributing editor to the National journal. She is currently facilitating a partnership between Wild Ones' Ohio state chapters and the Ohio Pollinator Habitat Initiative, working to establish pollinator habitat throughout Ohio. Candy hopes that through these efforts, she can leave this world a better place for generations to come. Ilse received BA and MS degrees in Chemistry from Kalamazoo College and UCLA respectively. She then worked as a Research Chemist in Medicinal Chemistry for 30 years at the Upjohn Company in Kalamazoo, Michigan. After retirement in 1995 she has had the time to pursue her life-long interest in nature. Ilse began working with monarchs in 1999 when she collected a monarch chrysalis from her yard. In 2002 she became a Monarch Larva Monitoring Project (MLMP) volunteer. She submits weekly monitoring data and raises hundreds of monarchs each year from wild collected eggs and caterpillars to improve our understanding of tachinid fly parasitism. She also contributes data to the Monarch Health project since its inception in 2006. Ilse not only contributes to monarch research but also is dedicated to improving habitats to sustain monarchs. In addition to her yard landscaped with native plants she has established two native plant butterfly gardens. All three are registered Monarch Waystations and she actively promotes making Michigan the state with the most Monarch Waystations. Ilse shares her passion for nature by giving presentations, including one on monarchs, to classrooms and adult groups. She leads natural history field trips and tours of the gardens she has established and attends area events with a booth promoting monarchs. As a retired cardio-vascular surgeon turned Texas Master Naturalist, Dr. Ridlon (Kip) Kiphart found his passion for monarchs through a rather indirect route. The Texas native plants his son planted in his garden attracted many butterflies and that fed his interest in photography, an activity that he could pursue while practicing thoracic and cardiovascular surgery. 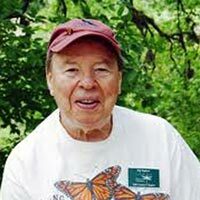 After retiring and becoming trained as a Texas Master Naturalist, Kip moved to Boerne, Texas and quickly became acquainted with the Cibolo Nature Center and its many volunteer activities. Since 2002, he has been team leader of MLMP@CNC and has given many MLMP trainings throughout the state, primarily for Texas Master Naturalists. Many of the dots on the Texas MLMP map are the direct result of Kip's powers of persuasion and enthusiasm. Since 2009, he has given Monarch Waystation and, more recently, Bring Back The Monarch programs for the Native Plant Society of Texas, the Texas Master Naturalists and gardening organizations. Each year he helps create a demonstration Monarch Waystation at the yearly Mostly Native Plant Sale, sponsored by Boerne NPSOT and CNC. This demo garden illustrates the basic resources required by monarchs and helps sell the native milkweed seedlings available from locally collected seed. Kip has actively encouraged his colleagues to collect milkweed seeds and reports that many people are collecting seeds this year. In 2008 Kip received the Presidential Volunteer Service Award from the President's Council on Service and Participation, a program created by President Bush to acknowledge exceptional volunteer service. Since retiring, Kip has logged approximately 10,000 hours for the TMN program and he is active in several other wildlife projects both as a volunteer and official photographer. 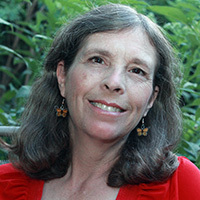 Denise has 35 years of experience as a Park Naturalist for the Maryland National Capital Park and Planning Commission. 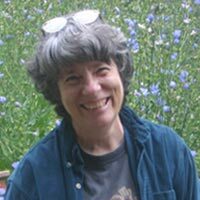 She has lectured and taught courses for other organizations including The National Arboretum, USDA Graduate School/Natural History Field Studies, and The Audubon Naturalist Society of the Mid-Atlantic States. For 25 years, she owned a native plant nursery specializing in host and nectar plants for butterflies. During that time, she designed and created habitat gardens for butterflies, hummingbirds, and other wildlife. 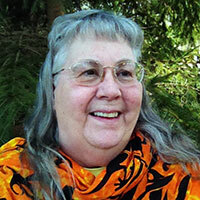 She has had considerable experience creating butterfly meadows and Monarch Waystations. She contributed to Jim Wilson's Landscaping with Wildflowers: An Environmental Approach to Gardening, the Brooklyn Botanic Garden's guide Butterfly Gardens: Luring Nature's Loveliest Pollinators to Your Yard, and more recently to Connie Toops' and Bill Thompson's Hummingbirds and Butterflies. Denise often does contract work for park agencies. She has conducted butterfly inventories for the National Park Service. She has also collected and propagated seeds of rare native plant species for reintroduction on federal parklands. Denise's obsession with monarchs was launched by a phone call to Dr. Lincoln Brower at the University of Florida. Her objective was to quickly check her facts about the fall monarch migration before conducting a training workshop for 2nd grade teachers. That 90-minute phone discussion was a turning point. Two years later, under the leadership of Dr. Brower, she embarked on a new path, from naturalist to citizen scientist. The project was to monitor and tag fall migrating monarchs at Chincoteague NWR on Assateague Island, VA. A Monarch Management Plan was developed based on data and observations collected during the study. It contains recommendations for habitat enhancement projects and management strategies to benefit monarchs passing through the refuge during their fall migration. Implementation of the plan was initiated in May 2009. As part of the plan, Denise returns to the island each spring and fall to plant nectar-rich seaside goldenrod plants at this critical stopover. Ina Warren (Brevard, NC - south of Asheville) is a freelance naturalist, lecturer, and educator and lives everyday in complete awe of the natural world. Her passion for volunteerism led her to serve over twenty years on the NC Bartram Trail Society Board and to create a group of Master Gardener educators called Monarch Mentors. In Transylvania County, the Monarch Mentors have visited area schools assisting teachers in learning about monarchs in their classrooms and planting school butterfly gardens. Warren has traveled to Mexico four times to study the monarchs in the over-wintering reserves and is a contributor to a growing group of educators called the Monarch Teacher Network. She is publishing her second book entitled, "Monarch and Milkweed Almanac." It is 365 pages in length in a "page a day" format and covers all aspects of the monarch life cycle, issues related to migration, milkweeds, and Mexico. It also includes an extensive section, (a botanico-pedia of sorts) of nectar flowers for Monarch Waystations. 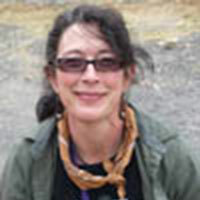 She is a frequent presenter at the NC Center for the Advancement of Teaching at WCU in Cullowhee, NC and has taught natural history courses at Brevard College, the Pisgah Forest Institute, US Forest Service's Cradle of Forestry, Great Smoky Mountains Institute at Tremont, the NC Arboretum and related venues. She is a Certified Environmental Educator for the State of NC. After a lengthy career in human resources in the corporate automotive industry, I retired and began enjoying all aspects of nature every day rather than only on weekends and holidays. A number of years ago, I brought a single stalk of common milkweed with one monarch egg into the house. I observed its development and eventual eclosure into a beautiful male butterfly. I then began studying and learning all that I could about Monarch Butterflies. The following year I began tagging and have increased the number of butterflies that I have raised, captured and tagged each year. This year I will be tagging 300 butterflies. I have visited sanctuaries in Mexico three times over the past four years. Most recently, on behalf of Monarch Watch, I have begun purchasing tags from local Mexicans at the sanctuaries. Locally, I present programs focusing on Monarch Butterflies, wild mushrooms around the world and daylilies. Debbie started raising monarchs 40 years ago while growing up near the cornfields in Iowa, spending most of the summers camping, exploring the Great Outdoors. (She considered entomology studies at college but chose to avoid Latin and studied engineering instead.) That hobby turned into an obsession and a passion to share her knowledge with others. In the last few years, Debbie's given dozens of programs in school classrooms, community service groups, garden clubs, retirement centers and parks & rec venues. In order to hand out hundreds of caterpillars, she began breeding monarchs too. She found that watching 9 year olds or 49 year olds discover the beauty of a newly eclosed monarch or grin with a caterpillar wriggling across their forearm is a joy! In addition to conducting Monarch butterfly programs, she's creating a network of monarch enthusiasts who are themselves sharing caterpillars and growing milkweeds. They are also being tutored to breed and give out caterpillars too; the Monarch Outreach plan is growing! 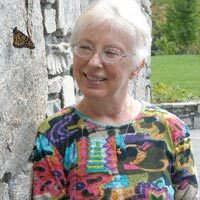 Ba Rea is a naturalist, illustrator and writer with a small publishing company, Bas Relief, LLC which publishes books on monarch butterflies and the milkweed community and other natural history themes for educational use. She received a BS in Visual Literacy from the University of Illinois in 1980. It was an individual plan of study combining courses in illustration, educational psychology and a wide range of natural history study and designed to help her produce illustrations and written materials to explain scientific and natural phenomena. She completed an elementary teaching certification course at Chatham University in 1996 to better understand how to create programs and materials for classroom use. In 2001 she got her Masters in Writing for Children and Adolescents from Chatham University with a concentration on writing about natural history subjects for children of different ages. In 1970, when she first discovered monarchs, Ba was actually on an informal botany quest to understand how a milkweed umbel full of pink, fleshy florets was going to turn into the fuzz and seed filled milkweed pods with which she was familiar. The smooth-skinned, striped caterpillars with the bouncy, black, antenna-like protrusions front and back were a surprise. She brought them home as part of the bouquet to watch and draw. Finding a fully formed, gold speckled, jade-green monarch chrysalis hanging from the edge of a dresser was a complete surprise. When the chrysalides started turning orange and black, she made a point of sticking around to watch for the emergence of the butterfly. What magic! She has been raising and releasing monarchs; searching, drawing and working to better understand milkweed; and spreading the word about these marvelous organisms ever since. She shares what she has learned through her books, classes and public programs. Teachers and students leaving her classes report that they are no longer able to drive through town without noticing the milkweed. Since 2001, every August, Ba teaches Monarchs in the Classroom Here and Now, a course offered with Pennsylvania intermediate unit and Act 48 credit and sponsored by the Pittsburgh Children's Museum, for teachers who want to use monarchs in their classrooms. Ba's published books work to spread awareness of monarchs and milkweed all over the continent. In 2003, along with Karen Oberhauser and Mike Quinn and with the help of many other entomologists and monarch enthusiasts, Ba co-authored, designed and published Milkweed, Monarchs and More, A Field Guide to the Invertebrate Community in the Milkweed Patch. It was originally designed to help citizen scientist volunteers in the Monarch Larva Monitoring Project describe and record what they were finding in their investigations. It has since moved into classrooms and nature centers and has come out in two updated versions: one enlarged for older eyes and easier classroom use and one small for easy field use. Other books Ba has published include: Monarch Come Play with Me! (and the Spanish version Monarca Ven! Juega Conmigo) -- a pre-K through second grade look at the monarch lifecycle; Milkweed Visitors, written and photographed by Mary Holland -- an introduction for elementary school students to the community that lives in the milkweed patch; and Learning from Monarchs, Teachers' Handbook -a comprehensive look at monarchs, the monarch community, milkweed and classroom logistics to help teachers use monarchs in their classrooms. In her new home in West Virginia, Ba continues to increase awareness of monarchs and milkweed through public programs and creation of a monarch festival. Pat Miller became interested in monarchs and monarch conservation while presenting talks on butterfly gardening for the University of Illinois Extension office as a Master Gardener. Pat's good friend, Jane, met Chip Taylor the year he launched the Monarch Waystation program and became interested in promoting the concept of monarch waystations. Jane and Pat traveled throughout the western Chicago area promoting monarch waystations. Following a trip to Mexico with Monarchs Across Georgia, Pat's interest in monarchs blossomed into a program for school children, libraries, and garden clubs. 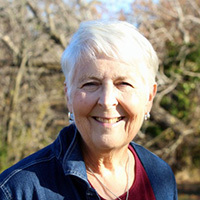 Pat's love of nature led her into education through her work as a Master Gardener, Master Naturalist and Plant Technician for the Morton Arboretum. She presents programs to schools, libraries, garden and environmental clubs throughout the Chicago area. In 2008 Pat presented monarch programs to over 1000 students and 500 adults, a number she hopes will grow every year. She continues to share her love of monarchs with everyone she meets. In 2007 the Chicago Tribune wrote an article about Pat's efforts in establishing Monarch Waystations in the area. In 2009, Pat was labeled "Queen of the Monarchs" in a second Chicago Tribune article. "Education and awareness are key issues in protecting this wonderful creature". Pat is also involved in raising and tagging hundreds of monarchs. "A lot can be learned from this little creature" and Pat hopes to find even more ways to educate others in the coming years through the Monarch Watch Conservation Specialist role. Trecia has been a biologist at Fernbank Science Center in Atlanta since 1990. Her areas of expertise are ornithology, environmental education, and establishing outdoor classrooms and gardens at schools. For the last eight years, she has been teaching students and teachers about the wonders of monarchs by teaching Professional Development courses in Michoacán, Mexico to study the biology and ecology of the Monarch butterfly in its overwintering habitat. Trecia also served as co-committee chair of Monarchs Across Georgia for three years, is also a committee member and actively tags with the teachers from DeKalb county and promotes the citizen science projects of Monarch Health, Journey North, and Monarch Larva Monitoring Project. Trecia has a bachelor's and master's degree in biology with an emphasis in animal behavior and science education. Trecia is also responsible for organizing the School Master Gardener program that has trained over 165 Master Gardeners from 42 different schools across DeKalb County. Since 2003 these participants have volunteered over 16,810 hours at their local schoolhouses working with over 31,842 students. Numerous Junior Master Gardener Clubs have been formed in the local schoolhouses and the program was awarded the Outstanding Volunteer Service in Environmental Education Award from EEA in 2007. This program has also brought in over $63,461 in grant money at the local schools just since 2008. 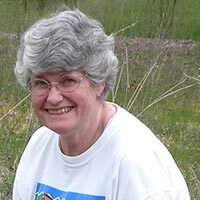 After visiting the Mexican overwintering colonies with Dr. Bill Calvert in March 2003, Susan began volunteering with Monarchs Across Georgia (MAG), a committee of Environmental Education Alliance of Georgia. She facilitates educator workshops using the Monarchs & More curriculum, and incorporating the citizen science projects of MLMP, Journey North tracking, Monarch Watch tagging and Waystations, and Project Monarch Health. Susan is a Trainer for MLMP and coordinates the Integrated Monarch Monitoring Project (IMMP) in Georgia. She has administered MAG’s Pollinator Habitat Restoration Grants since 2012 through FWS’ Partners in Fish & Wildlife Program and was honored with a Conservation Partner Award for her work with monarchs at the 2015-16 Southeast Regional Director’s Honor Awards Ceremony. Organizing trips to the Mexican overwintering colonies since 2004, she initiated the Mexico Book Project, bringing books written in Spanish to schools near the sanctuaries. In 2018, Susan agreed to coordinate the Symbolic Monarch Migration, a 22-year old program created by Journey North. Susan received her BS in Microbiology and MS in Environmental Science from Louisiana State University, Baton Rouge and Florida Institute of Technology respectively. She retired as an instructor from Stone Mountain Memorial Association where she taught K-12 students a variety of science-based lessons from geology to life cycles. 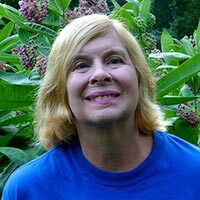 Susan is also a Georgia Master Gardener, Master Naturalist, and certified Environmental Educator. Nicole worked 19 years in management consulting leading strategy and organization transformation projects at Booz Allen Hamilton. In 2012 she left Booz Allen to apply her skills full time to the environmental sector and is currently President of the Loudoun Wildlife Conservancy, an environmental nonprofit in northern Virginia. In 2013, she spearheaded the launch of the Loudoun Monarch Butterfly Campaign. Through this campaign, she and her team touched over 2400 people through community outreach programs, distributed more than 2500 milkweed plants through donations and native plant sales, helped establish Monarch Waystations at 20 local schools, and engaged over 120 people in raising and releasing 2311 Monarch butterflies. The work of 2013 serves as the foundation for continued education, outreach and habitat restoration in northern Virginia. Nicole hopes that this campaign will serve as a catalyst for other communities to pursue similar initiatives. Nicole leads the annual Loudoun County Butterfly Count and is author of the field guide, The Butterflies of Loudoun County. She is an avid birder and nature photographer and leads Loudoun's Amphibian Monitoring program. She enjoys sharing the wonders of nature with others through field trips and education programs throughout the year. Nicole's connection to Monarchs began early as she grew up on the coast of Massachusetts and enjoyed Monarchs in a big milkweed field each summer. Before leaving her childhood home, she witnessed a great Monarch roost in a favorite Oak tree and her connection to Monarchs was cemented. In 1999, Nicole created a garden for Monarchs and other wildlife, listed as #81 in the Monarch Watch Waystation Registry. Nicole traveled to the Monarch Sanctuaries in 2009 and 2013 and having developed wonderful friends in Angangueo, looks forward to returning. Nicole is a certified National Wildlife Federation Habitat Steward and a certified Virginia Master Naturalist. She holds a B.A in Government and East Asian Studies from Colby College and an M.B.A with focus on Management and Marketing from Thunderbird. She has traveled through Central and South America, Europe and Asia. I am the author of "Learn About Butterflies in the Garden", owner of Brenda's Butterfly Habitat, a Co-founder and past president of Southeast Michigan Butterfly Association (SEMBA), a member of Association For Butterflies (AFB), North American Butterfly Association (NABA), and Wildflower Association of Michigan (WAM). I’m an Advanced Master Gardener and was awarded "Master Gardener of the Year 2007" for Wayne County by Michigan State University Extension. The Master Gardener Association of Wayne County awarded me the MGAWC 2008 Dean Krauskopf, Ph.D. Educational Outreach Award. 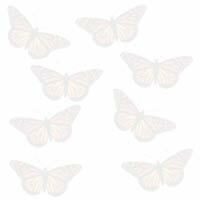 My yard is certified by Monarch Watch as a Monarch Waystation (number 45 and the first one in Michigan), SEMBA as a Native Butterfly Garden, and the National Wildlife Federation as a Wildlife Habitat. I have been giving lectures on Butterfly Gardening since 2004. I have also been on several television programs and in newspaper articles talking about butterflies. Monarchs have a special place in my heart. They were the first butterflies that I raised. In 2009 and 2010, I went to three of the Monarch colonies in Mexico with Monarchs Across Georgia. My butterfly house is located at 6414 Merriman Road, Westland MI 48185. It has butterflies, which are native to Michigan, and their host plants. This allows people to see the life cycle of the butterflies that they can have in their yards. Each year I give 1000s of caterpillars away. I take donations for the Monarch caterpillars to raise money for Monarch Watch. 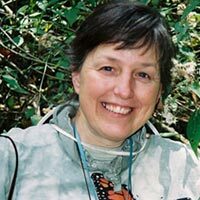 Sarah retired from a 27-year career as Senior Naturalist at Blendon Woods Metro Park in Columbus, Ohio in late 2014 and is now free to indulge her passion for monarch butterflies full-time. She witnessed her first "magical" monarch eclosure at age 10 after finding a caterpillar at a family reunion. Sarah holds two BS degrees in Education and Nature Interpretation from Miami University and The Ohio State University, so she can be truly full of "it", but no one doubts she wants to make nature education up close and personal for everyone. Very few people ever left her park without being encouraged to enter the Monarch Mansion and learn to correctly hold a monarch butterfly and admire its beauty. She has raised monarchs for public display for 20+ years at her park and distributed caterpillars to hundreds of school classrooms. She participated in the Urquhart tagging program but didn't have her first tag recovery until 1999; she followed that monarch to Mexico the following year on one of Bill Calvert's tours. She has presented her "Monarch Mania" workshop at numerous conferences for teachers and naturalists, at both the regional and national level. Sarah is an active trainer for the Monarch Teacher Network and has been to California and back to Mexico with their tour groups. The Columbus Audubon Society awarded her their Song Sparrow Award in 2011 for her education work. Since retiring, she has become the Citizen Science Committee chairperson for Wild Ones Columbus chapter and will be working to implement citizen science programs for adults and schools. She will be adding Master Gardener to her resume in 2015 and looks forward to advising anyone who wishes to establish a Monarch Waystation. She hopes to have a retirement full of school, garden club, and youth group talks to pass on her passion for monarchs and all of nature. Keep an eye out in Ohio and Kentucky for her bright orange Honda Element with license plate MNRCLDY - probably parked next to a milkweed patch! Carol moved to North Texas a couple of decades ago and has been studying the native plants of Texas ever since, with special attention paid to their usefulness to birds and insects. She is a Texas Master Naturalist, has been president of the Collin County chapter of the Native Plant Society of Texas, and co-administrates a native bee Facebook page for the Texas Parks and Wildlife Department. She is a frequent guest speaker at schools, and for garden clubs, Master Naturalists, Native Plant Society chapters and other groups. Carol and her husband own Clark Haven Farm, a 37-acre wildlife refuge and native wildflower seed business. With over 350 species of native plants naturally occurring on the property, Monarchs and other insects have plenty of ready habitat on the farm. Lately, she’s been experimenting with novel propagation techniques for native milkweeds, and working to increase seed and mature plant availability of native milkweeds by coordinating with local ranchers and growers. When she’s not busy with plant and Monarch projects, she is a private Math and Science tutor. Stommy Blauth, is the Director of the Philadelphia Butterfly Pavilion which will be the largest butterfly house in Pennsylvania. 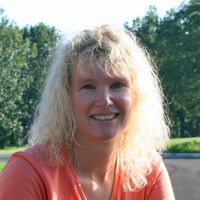 After moving to Pennsylvania in 2007, she began working as an educator/naturalist at the Churchville Nature Center, where her focus was on creating butterfly programs to compliment the school district’s curriculum. In 2013, she opened the JVM Butterfly House at the Churchville Nature Center. Currently, as the Director of the Philadelphia Butterfly Pavilion her responsibilities include layout, design, landscaping and of course caring for all the thousands of native and tropical butterflies that will call the Philadelphia Butterfly Pavilion home. She is President of Operation Monarch a non-profit organization focused on education and creating more habitat for the Monarch Butterfly. She is working with local officials in the Philadelphia area to coordinate effective land use to benefit all pollinators. Rhonda became interested in nature while walking along the lane with her grandmother to bring in the milk cows while she was very young. Growing up in Florida, Kentucky, and Illinois helped her to value the diversity of the differing landscapes and seasons. 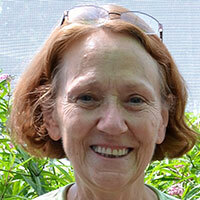 She trained as a University of IL Extension Master Gardener in 1996. She loves to work with children and see them understand more of the interactions of the world around them. 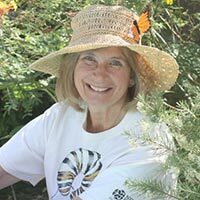 She found her niche to educate others and give back as a Monarch Watch Tagger in 1997, sharing education, conservation and research associated with the Monarch Butterfly as part of Monarch Watch with individuals and groups of all ages. She was recognized by the State of IL Master Gardener program in 1999 for her Monarch Conservation work with approximately 1,400 youth annually. Rhonda's rural property became Monarch Waystation #17 in July of 2005. She has championed the conservation needs of the monarch in all levels of Schools, Libraries, Nature centers, Children's museums, Garden clubs, Senior centers, as well as with Boy Scouts, Girl Scouts and 4-H clubs. 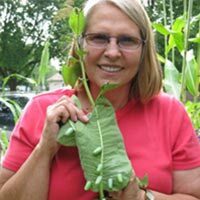 In 2008 Rhonda became an active trainer for the Monarch Teacher Network in the first Illinois workshop, to help local teachers gain the knowledge to more effectively use monarchs in their classrooms. Rhonda had the pleasure to travel to Mexico with a MTN tour group and marvel at that part of the migration story. In 2014 Rhonda & her husband outfitted a renovated school bus to become a rolling resource center & greenhouse as “Ms MariPosa” to educate others and serve as a home for the books, posters, and her accumulations of materials to educate all ages. Rhonda is happy to see her hometown of Galesburg, IL is now host to the annual Monarch Migration Festival which encourages the establishment of more Monarch Waystations in the corn belt. Her personal soapbox is good stewardship of the land while trying to restore summer breeding habitat of the monarch. Sandy Schwinn is a retired teacher with a Master’s Degree in Education. She has always lived in Oklahoma, growing up in Oklahoma City and moving to Tulsa in 1973. She has raised Monarchs for 35 years, starting with a mysterious caterpillar she and her two small children found on a vine growing on a backyard fence. The larva was brought in, fed and kept in a canning jar while all anxiously awaited to see what it would become. She would later learn the name of the vine, Honeyvine, or Cynanchum laeve, a local host for Monarchs, that grows in wild abundance in Northeastern Oklahoma. That backyard vine was visited every year. More Monarch caterpillars were raised, and were eventually brought into the classroom and then shared with other classrooms. She discovered other caterpillars on other plants and brought them in to raise. To date, she has raised 30+ species of butterflies and moths, and has documented the lifecycles with photos that can be found at pbase.com/bfmom. The first thing Sandy did after retiring, was to create My Backyard Monarch Waystation #1524. The Waystation has been very successful, with hundreds of eggs collected each year to raise and share with others, including classroom teachers. She began speaking to local groups and classrooms about creating butterfly habitat and Monarch Waystations, growing milkweed and raising butterflies. She has assisted in the creation of eight local Waystations. 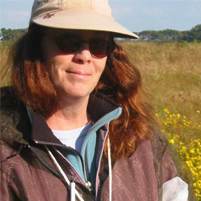 She has participated in various NABA Butterfly counts in Oklahoma, and is a member of the Oklahoma Native Plant Society, and Tulsa Audubon Society. Since the fall of 2007, she has submitted sighting reports to Journey North. After discovering social media, Sandy created the Butterflies of Oklahoma, Kansas, and Texas Facebook Group in October of 2012, and the Oklahoma Friends of Monarchs Facebook Group in September of 2015. These groups have provided online communities for discussing many topics including growing milkweed, identifying diseases and parasitoids, and making reports to Journey North. Sandy has been involved in conservation activities most of his adult life. After graduating from Columbia Law School, he moved to Alaska where he became involved with the Sierra Club’s efforts to pass the Alaska Lands Act to preserve over 80 million acres of land as national parks, refuges, forests and wilderness areas. Later, he continued this work as Head of the Environmental Law Section of the Alaska Attorney General’s Office and still later, during the Carter Administration, as the Deputy Assistant Attorney General of the Lands Division, U.S. Department of Justice. After leaving government, he was on the Board of Directors for Defenders of Wildlife. He worked as a lawyer in the U.S. Intelligence Community before retiring in 2008. After retiring, his interest turned to birding where he led birding trips for the Potomac Valley Audubon Society. He still leads bird trips for the Society, the Washington County Bird Club, the City of Hagerstown and the C&O Canal in Williamsport, MD. He is a West Virginia Master Naturalist. He developed his interest in monarch butterflies after a trip to the sanctuaries in 2014. 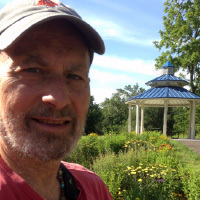 In 2015, he started The Monarch Alliance to provide education on the monarch butterfly and its decline and advocated for the planting of Monarch Waystations. His organization worked with the City of Hagerstown to design a waystation of several hundred square feet at a new city park, encouraged the Mayor of Hagerstown to sign the Mayor’s Pledge and recruited a number of “partners” to leverage the Alliance’s activities in Washington county and the surrounding region. In 2016, his organization continued to conduct educational activities in Washington County and the eastern panhandle of West Virginia, held butterfly identification workshops, tagging events and milkweed and nectar plant sales. His organization works closely with the US FWS’ National Conservation Training Center in Shepherdstown, WV. Sandy has a special interest in getting children involved in monarch conservation and has been working with a local children’s science museum, a girls club and an elementary school in West Virginia on starting a Junior Monarch Alliance built around citizen science programs, with a view of getting children out in milkweed patches in the summer monitoring larva and tagging monarchs. Kimberley was born and raised on the Monterey Peninsula on the California coast for most of her life. In that journey, as a little kindergartener, so began her education into the Monarch butterfly, because Monterey Peninsula area has the Monarch butterfly in their curriculum, kindergarten on. Since Pacific Grove, CA reveres the Monarch butterfly, they even have a yearly parade where all the school children dress up as Monarchs to celebrate the Monarch butterflies' return to Pacific Grove to winter in the Pacific Grove Monarch Santuary. Needless to say, the love of the Monarch butterfly seeped into her bones. In a world, where from the beginning, the Monarch butterfly is part of your world you then don’t want to imagine a world without this magnificent butterfly. She remembers the day on her school grounds looking up and thousands were flying overhead. 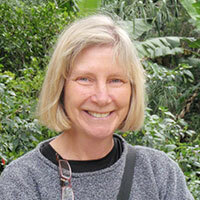 Kim is a UC Master Gardener and California Naturalist with a passionate teacher spirit. She not only loves Monarch butterflies but people too and since she loves working with the public she has observed in her times working a booth, giving a workshop or talk that the public is just as passionate as saving the Monarch butterfly as she is. During outreach she distributes milkweed seeds and milkweed plants she has raised during talks, and getting out the information the public is so hungry for, to help the Monarch butterfly. Kim has created a Monarch Waystation and a half acre certified pollinator garden on her property and helps teach others to establish theirs. There is not a Monarch butterfly conservation, native plant or pollinating plant talk she’ll want to miss. She’ll strive to continue her education and together we are hopeful we will increase the numbers of this magnificent butterfly. Darlene manages Pelee Paradise Sanctuary, a five acre farm with pastures, horses and plentiful Asclepias Syriaca and Incarnata. Darlene is a member of the Toronto Entomologist Association by which she is permitted by Ontario’s Ministry of Natural Resources to collect and handle wildlife, tag and release monarchs which for educational purposes also rears & mentors at the Monarch Hale on her property. She lives just outside of Point Pelee National Park, Canada's most southern mainland point where migrating monarchs gather before crossing Lake Erie on their journey south to Mexico. Darlene shares her monarch expertise at Point Pelee National Park and by contract conducts evening monitoring for migrating monarch activity and providing monarch caterpillars for their Visitor Centre display. Darlene is an honorary board member on Butterflies and Their People non-profit in Mexico which through fundraising employs Arborists fulltime year-round to deter illegal logging on Cerro Pelon. She also volunteers annually to create The Monarch Trail, a habitat restoration project coordinated by the park along with the Municipality of Leamington. Additionally, Darlene has volunteered for Friends of Point Pelee at Point Pelee National Park, Wings Rehab Center, Kittenaide, Voices of Youth Committee in Kingsville and is a past member on the Education Committee and Board of Directors for The Windchill Legacy. Darlene received in January 2018 a Volunteer Award from ERCA/Essex Region Conservation Authority. Most recently Darlene along with approx 60 delegates/experts/scientists received a private invitation & attended the Trinational Monarch Science Meeting in Mexico City. Presently Darlene is an Educational Assistant at a Preschool Daycare Center, where she coordinates monarch releases for the students. Her love of monarchs began as a girl in northern Ontario, and deepened when she was living in Hawaii, where she encountered monarchs nectaring on Crown Flowers (Giant Milkweed-Calotropis Gigantea) as well as white monarchs. Upon returning to Canada, she deepened her commitment to protecting the monarch migration. She lives with her husband, who assists her with her monarch projects, planting & maintaining habitat and is the mother of two and grandmother of four.